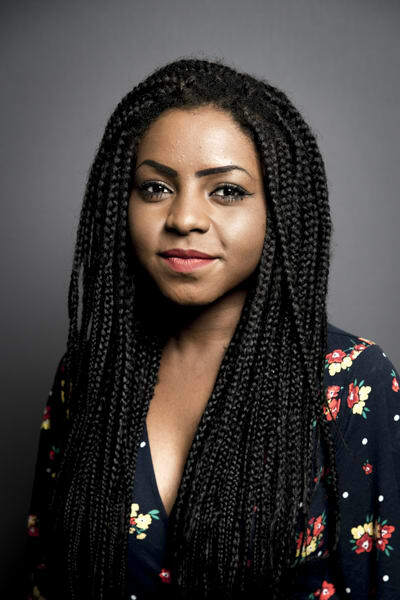 For the second instalment of our ‘Up & Coming’ series, this month, Official London Theatre spoke with Farah Omotosho, an aspiring Arts Marketer, about her journey into the industry, and how TheatreCraft helped her find her way. TheatreCraft is the country’s largest, free careers event for young people interested in off-stage careers in theatre. This year’s event takes place on Friday 3rd November at the Waldorf Hilton Hotel. To register for your place, visit the website. And don’t forget to follow the event on Twitter and Facebook. Tell us about yourself, Farah. My name is Farah, I’m 23 and I am from Buckhurst Hill. I have a degree in Linguistics from University College London, and I working at Dewynters as an Account Management Assistant. In my spare time, I enjoy going to the theatre (several times a week!) and keeping up with all the latest Royal family news! What’s a typical day like in the Dewynters office? No two days are the same for me in the Dewynters office. As an Account Management Assistant, I have the opportunity to work across a variety of different accounts. That means that one day I could be attending a photoshoot for a West End show, and the next day I could be researching for a pitch or collating a digital marketing analytics report. I love that my role is so varied because it means I get to work with people across the company and, also, the industry. How did you find your way in to the world of theatre? I credit my mum with introducing me to the world of theatre. When my siblings and I were younger, she’d always take us to see shows in the West End such as The Lion King, Grease and Saturday Night Fever. I continued this trend when I began studying in London, often attending shows on my own and making many friends along the way in dayseat queues, and at stage doors. What’s the most exciting thing about working in Marketing? There are so many exciting things about working in marketing. I have to say that I particularly enjoy learning about the latest West End news before it is made public. I often say that I’m scared to take days off because I’m worried I’ll miss something exciting! How did coming to TheatreCraft support you in your career? Coming to TheatreCraft taught me about all the non-performance options there are in the world of theatre. I had always enjoyed performing but I had also enjoyed learning about marketing whilst at school. It had never occurred to me that my two passions could come together and create my ideal career. TheatreCraft taught me that it was possible to pursue this dream of mine. What are your top tips for making the most of the day at TheatreCraft? My top tip would be to ask as many questions as you can. The people that know the answers are there to help you and impart their wisdom so don’t be shy! And take a notepad and pen so you don’t forget what they have said. Another idea is to make sure that you take your time when browsing the marketplace. There are a myriad of exhibitors there. What advice would you give to anyone interested in a career in Marketing for theatre? Firstly, see as much theatre as you can. Being able to speak with confidence about your industry is so important. Take advantage of all the theatre access schemes out there such as Mousetrap Theatre Projects’ WestEnd410 or the Donmar Warehouse’s free tickets for under 25s. Secondly, take notice of and analyse theatre marketing campaigns. Look at escalator panels, Facebook canvases and adverts in newspapers and ask yourself why certain creative decisions have been made and if you think they work.